Jake sent in his cute Kirby tattoo. He says his friend Aaron Morris inked it for him. Why Chef Kirby? 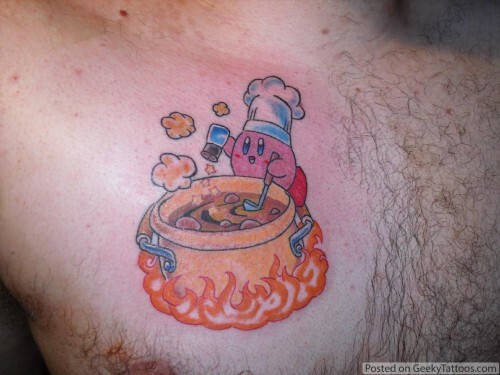 Well, Jake is attending Culinary school and he wanted some ink that combines his love of Kirby plus his love of cooking. Tagged with Aaron Morris, Kirby.